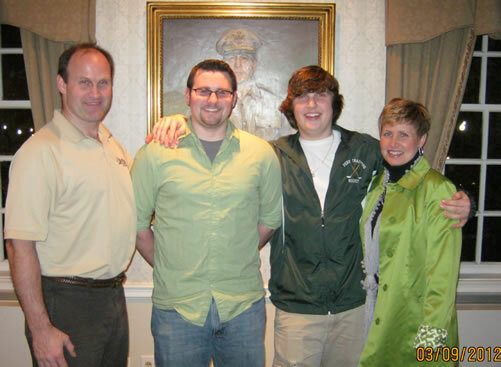 The Phelps’ Family hosted Aleethia’s “Friday Night Dinner” held on March 9, 2012. During the past six years, Brian, Tracy, Carl and Eric of Jeannette, Pennsylvania have been devoted supporters of the Aleethia Foundation. Several times a year, the Phelps’ family drive over four hours to Washington DC to join the injured service members and their families for an Aleethia’s Friday Night Dinner. Their generosity and compassion shown by the Phelps’ family is awesome! We want to wish Carl the best as he heads off to College this Fall. Congratulations Carl and enjoy your new adventure in Florida!